The Days of Johann, an agility dog! : Digging a new foundation! Oh, yeah, I'm diggin' it! Sometimes when I'm out in the yard and really get going, nothing can stop me, not even playing some dog game on the PS3! 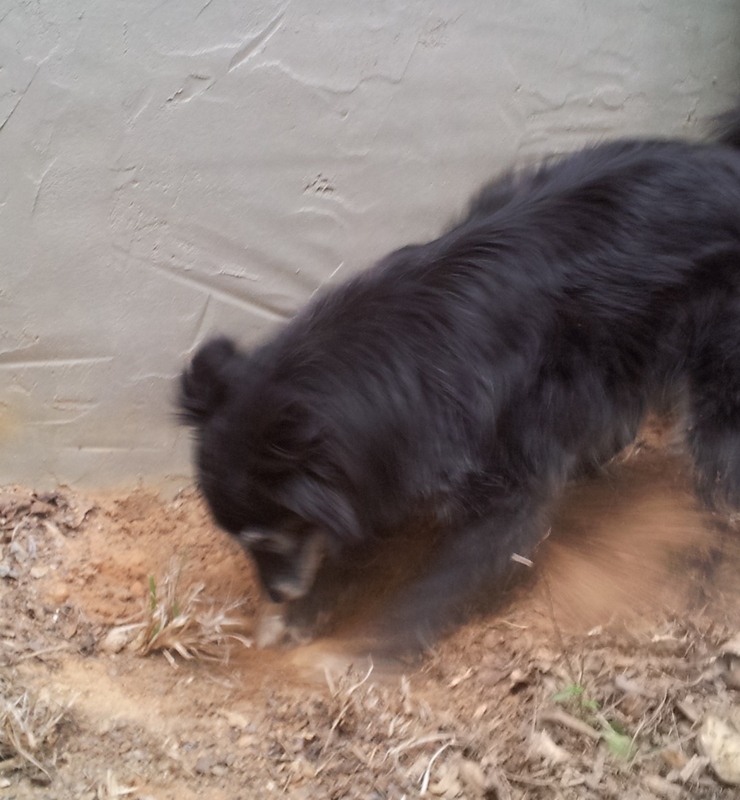 I race around the yard, Gracie in pursuit, then suddenly I veer toward the side of the cabin and get my dig on! Dig, dig, dig and diggin' it! And this diggin' hole is right beside where Mum sits sometimes and watches us play, so she of course had to get up because the dust is flyin' I'm tellin ya! You're the digginest dog! I love that book. I love digging by the house foundation too! Mommy is mean and puts big lake rocks on my favorite spots. Oh, my, someone is having SOME fun NOW! Tika has a major excavation behind the compost bins and is working on an annex behind a bench. Apparently some spots are just better than others for digging.